It's time to show some ovaries. All Jules Nichols wants is respect—and babies. A quiet life with a happy family. So with the help of her lover, she comes up with a plan to get rid of her abusive criminal hubby. Once Eddie’s dead she and Wesley can live on the insurance money. Quietly. Happily. They’ve thought everything through: alibis, misleading clues, disposing of the murder weapon, even how often Jules should check in with the cops to make sure something is being done to find Eddie’s killer. But somehow the baddies start lining up against her. First it’s the Mob, then drug-dealing bikers, then her crazy sister. At the same time, the Vermont State Police won’t go away, and Wesley’s not exactly manning up to deal. She loves the guy, but he can be such a bonehead. When Wesley and their new baby are abducted by a cheesed-off mobster, Jules is the only one man enough to rescue the fam and make sure the past stays in the past so they can enjoy their new future. It’s time to show some ovaries. 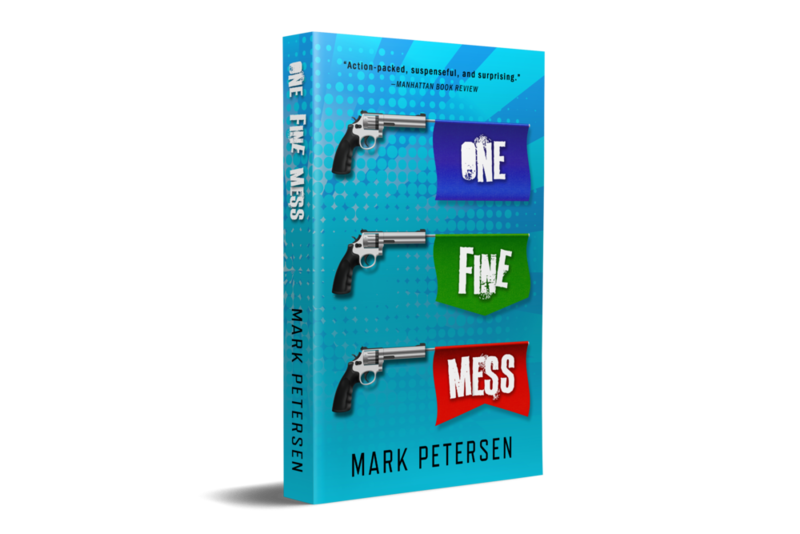 "Petersen’s novel, a cross between a breathless adventure and a slapstick farce, is action-driven from start to finish." Addictions counselor by day. Crime fiction addict and author by night. Any resemblance to the quirky criminals in my book is, um, mostly coincidental. I have also been employed as an archaeologist, truck driver, logger, and bike-tour guide in Paris. I attended law school for one day. That was enough. Crime is much more interesting. Images courtesy of Canva, Pixabay. Book cover design by The Thatchery.